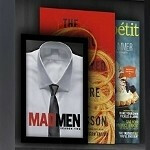 Rumors about a sequel to the highly successful Amazon Kindle Fire have been picking up steam. 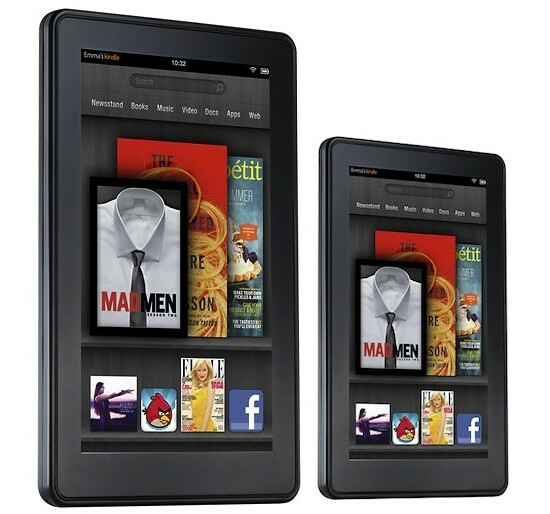 Yesterday we told you that a more powerful Amazon Kindle Fire was expected to launch on August 7th. The tablet would be powered by a quad-core processor using 12 core graphics, a front-facing camera and Android 4.1 installed. Other speculation called for another 7 inch Amazon Kindle Fire with an improved build quality, and a 10 inch model to both launch this year. Now, NPD DisplaySearch has even more incredible news. Analyst Richard Shim, looking into Amazon's supply chain, says that three or maybe four Amazon Kindle Fire 2 models will launch this year. Shim's visit to Amazon's supply chain shows support for a Amazon Kindle Fire 2 with a 7 inch display and resolution of 1024 x 600, no camera, and August production. The second 7 inch Amazon Kindle Fire 2 model would have an improved resolution of 1280 x 800, a camera, also set for August production. 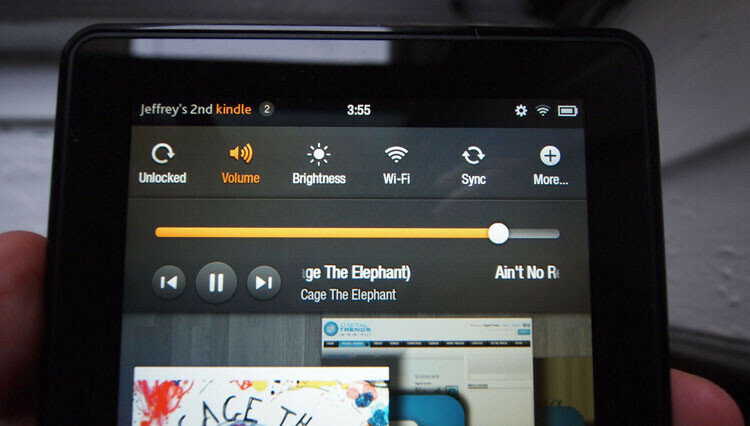 A third Amazon Kindle Fire 2 with a 7 inch screen would match the prior model except that it would add 4G connectivity and production would start in September. While Shim does not see a 10 inch model coming, he does forecast an Amazon Kindle Fire 2 with a larger 8.9 inch screen, resolution of 1920 x 1280 with production starting in the fourth quarter. Shim says that the supply chain is "dynamic," meaning that it always changes and with tablet parts, Apple is also in the mix. Shim says that the four Amazon Kindle Fire tablets is what he is seeing now, but that the forecast can change. The Amazon Kindle Fire did not come with Google applications and users had to buy content, apps and cloud storage from Amazon. Keeping the tablet bare bones enabled the online retailer to offer it for $199.99. While Google seemingly went after Amazon with the new Google Nexus 7 tablet, the 8.9 inch model of the Amazon Kindle Fire 2, if true, would trump Google's tablet in screen size, resolution and with the 4G connectivity. Shim did add that all four Kindle Fire sequels would match the 216ppi pixel density of the Google Nexus 7. That would be a major improvement over the OG Amazon Kindle Fire, which had a rather poor pixel density of 170ppi. As a matter of comparison, the pixel density on the third iteration of the Apple iPad is 264 ppi. While that is under the 300ppi required to be a Retina display, tablet screens are looked at differently since they are not held as close up to your face as a smartphone is. While Shim couldn't find out information such as pricing and availability, he did say that the new Amazon Kindle Fire tablets will be powered by either TI OMAP processors or the quad-core NVIDIA Tegra 3. Not good. Now all of the dumb people aren't going to know which one to get and will just get an iPad. They should keep it simple and only release one or two. That's one helluva strategy from Amazon. The Nexus 7 may have a run for its money! Well, with all the wild predictions this "Richard Shim" person should get one of these predictions right. Now this if even one of these come to pass he can say I told you so. Give me a break, maybe he should pick one horse and get behind it. Looks like Amazone is losing script. They have no hope anyway beating Google in its own game. Nexus 7 fracked up by not having a sdhc slot. A deal breaker for a lot of people. what will be the OS? android? i dont think so people will buy another amazon tablet even though it aims only for an ebook reader... people will buy a real andriod namely nexus 7 or the rumoured ipad mini or maybe a WP8 mini tablet! if they will buy RIM and port the BB goodies to its ecosystem then it is a competition!